Welcome to Beristain Roofing based just north of Nashville. We are a fully licensed & insured construction company. As insurance claim specialists, we work closely with your provider to make sure that your roof is fixed quickly at little to no cost. With years of experience and training, we are here to assist you with your construction project. No matter what service is needed in your building, we are fully equipped to help you make your project a reality. Our inspections and estimates are free of charge, and we are happy to set appointments that work around you and your schedule. Feel free to request your estimate here on the site, email us, or give us a call today! Once you have reached out to us, you can expect us to get back to you within 24 hours or less. 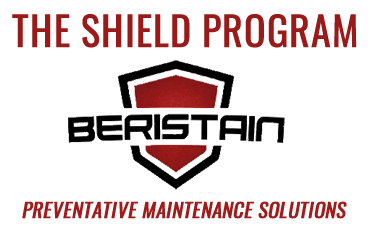 We are now offering a complete preventative maintenance package: THE SHIELD PROGRAM. Be sure to sign up and get the peace of mind that comes with staying ahead on your property's maintenance schedule! you have come to the right place! Our expert staff has everything you need to make your vision come true! HAVE YOU EXPERIENCED DAMAGE TO YOUR SIDING? Choose from dozens of siding options, including colors, styles and warranty options. Your home is your sanctuary, if you don't enjoy the front or backyard enough, maybe you need a deck.